Apple's tvOS 11 will include automatic light and dark appearance switching, Home Screen sync, network-based pairing, new background modes and notification support, right-to-left language support, and more. The most recent beta is build number 15J5380a, with beta 9 from Thursday holding release number 15J5378a —an even smaller increment than the last. The developer's notes for the release remain sparse. 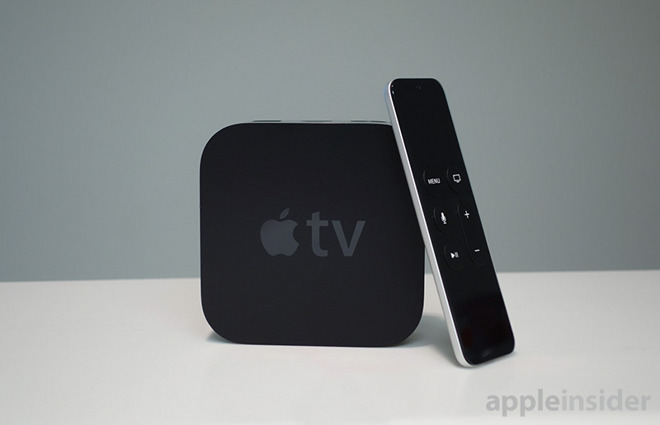 However, information has been gleaned from prior betas suggesting that a 4K HDR Apple TV is imminent. Earlier on same Thursday as the last beta release, Apple declared that its next release event is on September 12. All four of Apple's operating systems in testing are expected to be released on or around the release event, with the "iPhone 8," "iPhone 7s," and "iPhone 7s Plus" likely debuting as well.